Shawn Campbell is grateful to Bemidji State University, where he found the kind of hands-on learning that first got him interested in a media career as a student at Bemidji High School. He expects to pursue a career covering professional sports or producing other live coverage. “You kind of get a rush doing live production because you know people are watching, and you want it to look good and sound good,” said Campbell, who will graduate in December with a degree in mass communication. 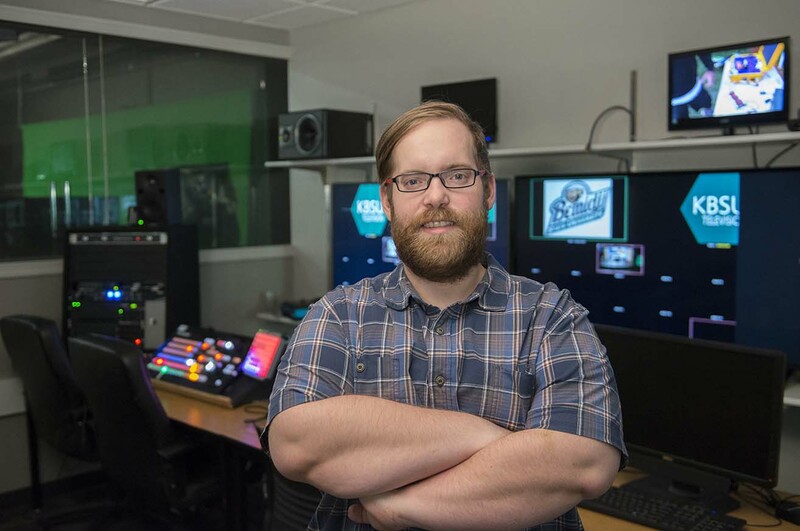 This summer, he started a part-time radio position as a news director with Paul Bunyan Broadcasting in Bemidji and is doing a variety of work for Lakeland Public Television. After taking a break from his studies at St. Cloud State University, Campbell transferred to Bemidji State, where the breadth of opportunities reenergized his career aspirations. He covers Beaver football, basketball and hockey. He has also been sports director and station manager at KBSU-TV, a student-run station. Last year, he hosted a series of KBSU roundtable discussions featuring community guests. He also provided live coverage of the BSU Student Senate debate and a fall gubernatorial candidate forum. Before he graduates in December, he hopes to host a cultural program featuring some of his BSU international friends who share his passion for cooking. For one of his classes, he produced a documentary on Bemidji Brewing Company and in January won a Minnesota Newspaper Association award for his writing in the Northern Student Magazine. He credits professors like Dr. Valica Boudry for pushing him out of his comfort zone and Roger Paskvan for helping him hone his technical skills. In Campbell’s biggest assignment yet, he put all those skills to the test. He stepped up and coordinated the entire live video production for the BSU Commencement ceremony when a staff member was unavailable at the last minute. Campbell had just one day to prepare. “It was kind of crazy,” he said. Campbell enjoys being immersed in the community and collaborating with his professors. “You can tell they really care about you,” he said.